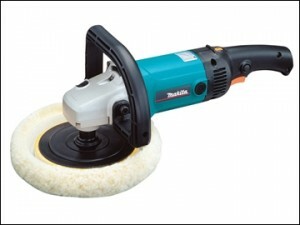 - Ideal for polishing or disc sanding applications. - Front ‘D’ handle for user comfort. Fibre Disc Diameter : 180 mm. No load speed variable trigger : 0 – 3000 rpm. Wool Bonnet Diameter : 180 mm. No load speed : 600-3000 rpm. Vibration sanding : 3 m/sec². Vibration polishing : 6 m/sec². Input wattage : 1,200 watt. Net weight : 3.1 kg.